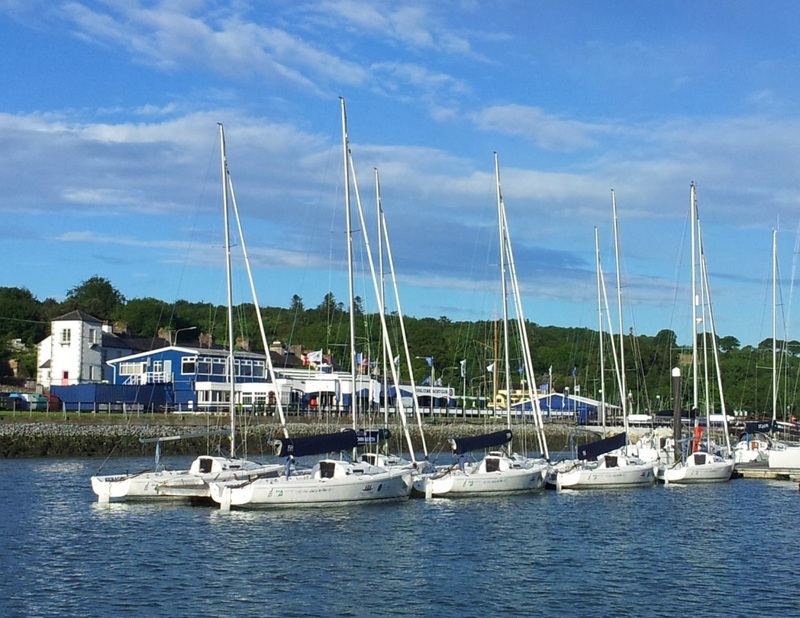 As Women’s Match Racing World Championship competitors prepare for a second lovely Cork Harbour sailing day at the Royal Cork (the world’s oldest yacht club), meet Gipsy and Brunette of 1893. G.L. Watson designed them specifically for racing against each other. Were they the first match racers? 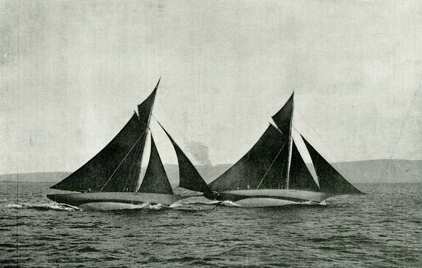 Gipsy and Brunette match racing on the Firth of Clyde, 1893. We wrote about their story, and the replica presently being built in Brittany by Hubert Stagnol for a Singapore based customer here. 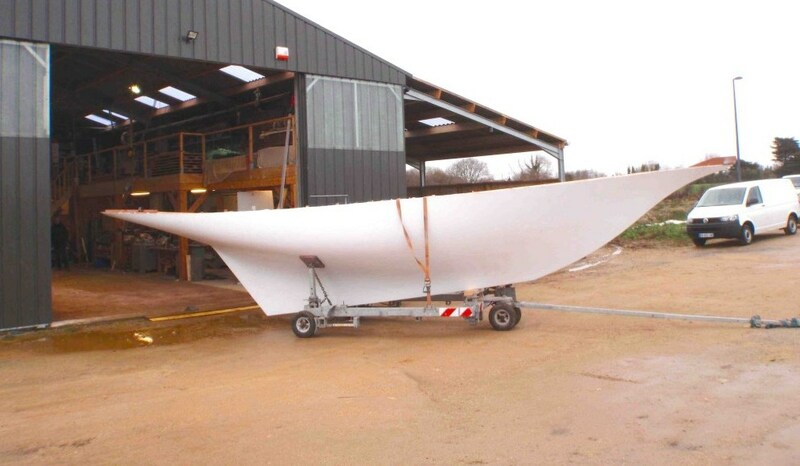 In-build photo of a replica of possibly the first ever match racing yacht design – minus lead keel. Is this another feather in the fedora of Glasgow yacht designer to the world, G.L. 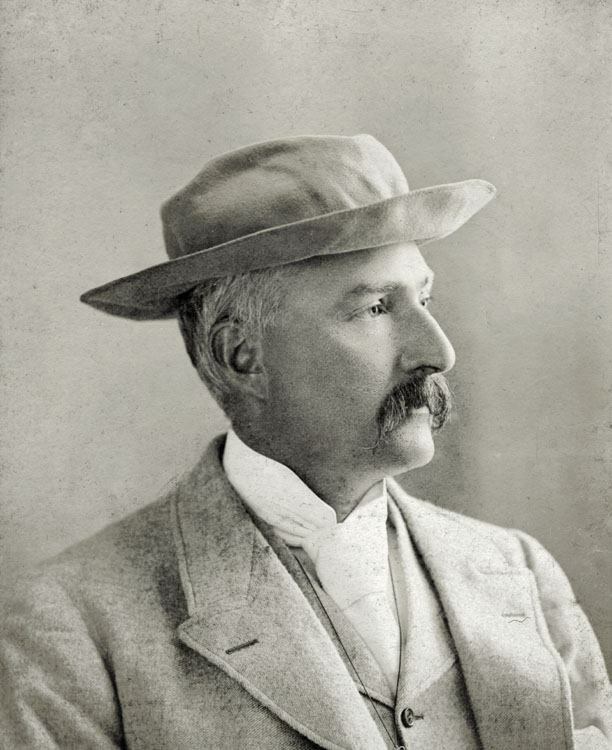 Watson (1851-1904)? Martin Black’s beautifully written, produced and illustrated biography, G.L. 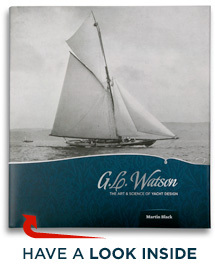 WATSON – THE ART AND SCIENCE of YACHT DESIGN can be purchased online at our website here, and at a growing list of other online and over the counter outlets here. “I am jumping up and down for joy having the book, if only you knew how excited I am.” – John Lammerts van Bueren. 8mR Class Secretary. This entry was posted in America's Cup, book, Clyde yachting, Clydebuilt, Firth of Clyde, G.L. Watson, G.L. Watson clients, gift, Glasgow, Irish yachting, Martin Black, naval architect, object of desire, replica, The Weekend Watson, yacht clubs, yacht design, yacht designer, yacht racing, yachting history and tagged Brunette, Crosshaven, Gipsy, Hubert Stagnol, Irish Sailing Association, J80, James Adam, James Coats Jr, match racing, Royal Cork Yacht Club, Women's Match Racing World Championship. Bookmark the permalink.